VR development features will now be much easier to use. Nvidia and Unity have announced that they will be bringing VRWorks and GameWorks to developers. Select partners will be given early access to an Nvidia version of Unity Engine with native VRWorks support. VRWorks is a suite of APIs, libraries, and tools that allow developers to make virtual reality games easier. Equally, GameWorks provides technologies like PhysX and VisualFX, as well as game and graphics sample code and tools to debug and optimize during the development process. Notably, the VRWorks build features VR SLI support, multi-res shading, lens matched shading, and single pass stereo. Building these features straight into Unity will make them a lot easier to use for developers. 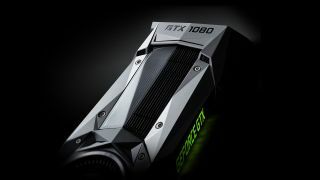 Plus, we may now be seeing a much larger gap between the Nvidia 10-series and 900-series GPUs in terms of performance. VR SLI allows scaling for systems with multiple GPUs, and increases performance by allowing multiple GPUs to be assigned to a specific eye, making image rendering a lot quicker. Single pass stereo means geometry is only drawn once, and then the right-eye and left-eye views of the geometry are projected simultaneously. Multi-res shading is a technique where each part of an image is rendered at a resolution that better matches the pixel density of the lens corrected image. Basically, what that means is the center of your view is rendered at full resolution, while the edges are rendered at a reduced quality. The image is then warped and the final output won't have any loss in image quality. A plug-in for Nvidia Ansel technology will also be added to the Unity asset store today. Ansel is a way of capturing in-game screenshots at ultra-high resolutions, as well as "surround" images that can be viewed in 360 or in VR. Ansel is the first plug-in to be added for free to the Unity Asset Store, and Nvidia says more GameWorks technologies will be added further down the line. VR developers can apply for early access to the build on the Nvidia website.